26 November 2018 (Wall Street International)* – Media has the power to transform societies through enhancing enlightenment and active citizenry. Observers occasionally refer to the media as the fourth estate owing to its influential role to further enhancing the plurality of opinions and ideas. Media and press freedom at a crossroad | Photo from Wall Street International. A free press is indispensable for facilitating good governance and transparency. It strengthens the accountability of governments as citizens can critically assess the activities of incumbents through information provided by the media. It is indispensable for facilitating good governance and transparent societies. Article 19 of the 1948 Universal Declaration of Human Rights defends freedom of expression and the right to information. Prophet Muhammad (PBUH) has been quoted as saying that “the ink of the scholar is holier than the blood of the martyr.” However, significant challenges lie ahead limiting freedom of the press. Firstly, journalists have had at times to pay a high toll for the expression of truth as they see it. Thus according to the Committee to Protect Journalists, more than 1,300 journalists have been killed since 1992. Among these victims, approximately 65% were murdered, 22% perished owing to crossfire and combat, whereas 12% lost their lives owing to dangerous assignments. Many of those deaths remain unresolved and perpetrators are rarely brought to justice as “complete impunity” prevails in more than 80% of the cases. The 2017 World Press Freedom report issued by Reporters Without Borders likewise suggests that violent extremism has put significant constraints on the ability of the press to operate freely and carry out their duties. The conflicts in Yemen, Libya, Iraq and Syria, the report underlines, have enabled insurgents to create black holes for reporting. Journalists have the right to work free from the threat of violence and free from the threat of fear in their capacity as transmitters of information to the public. Their lives should not be put at stake for merely putting Article 19 of the 1948 Universal Declaration into practice. Secondly, the accountability of media needs to be strengthened so that it represents the public’s interests. After the so-called “War on Terror”, hate speech and online bigotry have rapidly been on the rise targeting specifically religious minorities. This has been followed by a misconceived conflation between terrorism, Islam and the Arab identity, which has given rise to marginalization, bigotry and discrimination. 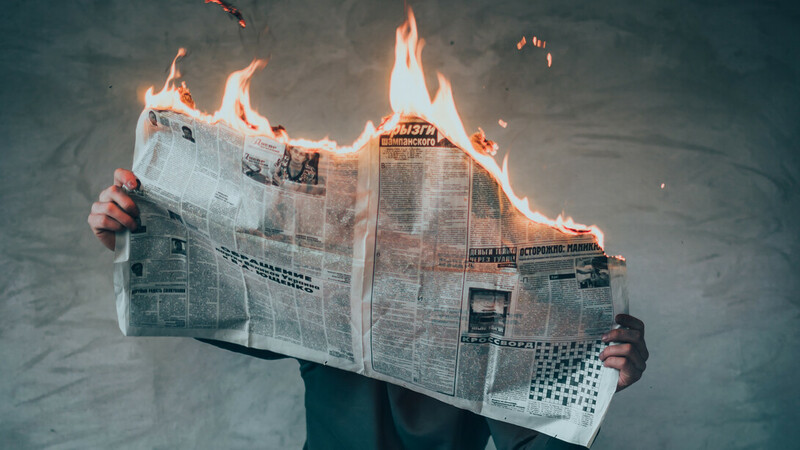 In the context where social media contributes to the dissemination of fake news without accountability, traditional media have an important role to play to promote awareness of false and inaccurate information. They may enlighten world public opinion by offering alternative narratives on contentious issues contributing to plurality of views and offering a voice to the voiceless. The right of information | Photo from Wall Street International. At the 25 June 2018 World Conference on “Religions, Creeds and Value Systems: Joining Forces to Enhance Equal Citizenship Rights” held at the United Nations Office in Geneva (UNOG) under the Patronage of HRH Prince El Hassan bin Talal of the Hashemite Kingdom of Jordan, it was suggested by the panellists to better harness the power of media by promoting positive stories about religion and culture. 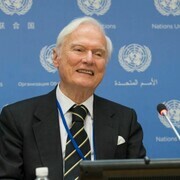 It was also proposed that we, as global citizens, should never fear the stranger as differences enrich our societies. Media can play a more influential role in addressing prevailing misconceptions and misunderstandings that exist between people. The use of contemporary phobic language triggering social exclusion and religious intolerance is a threat to democracy and to diversity. Incitements to hatred, violence and bigotry should be condemned as it exacerbates religious divisions within communities. It also gives rise to a populistic tidal wave that is taking root in several countries. Media has a “moral and social responsibility” in “combating discrimination and in promoting intercultural understanding (…)” as stipulated in Principle 9 of the Camden Principles on Freedom of Expression and Equality. By reversing the trend of offering simplistic and misconceived generalizations not grounded in reality, media can become a catalyst for social inclusion by promoting a culture of peace, harmony and tolerance. Societies that demonstrate respect for press freedom and the safety and freedom of journalists will make a valuable contribution to the fulfilment of the provisions set forth in SDG 16 on Peace, Justice and Strong Institutions of the 2030 Agenda for Sustainable Development.